Scuderia Toro Rosso announced on Monday that Alexander Albon will drive for the team alongside Daniil Kvyat in 2019. The British/Thai driver, 22, reveals below where we was when he got the call confirming his drive, his love of cats, and his hidden talent. 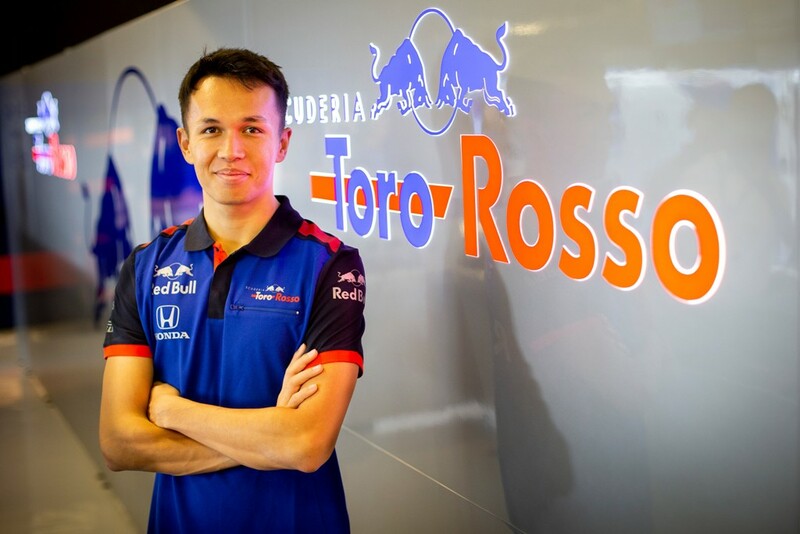 I received the call on Monday afternoon, I was told that I was now confirmed as a Toro Rosso driver and that the team was ready to make an announcement. I was in the shopping mall buying a pair of trainers so I rushed back to the hotel straight away! I was beyond excited as I have waited for this moment since I was six years old. I can’t say that it came out of the blue because I have been trying to resolve my situation with Nissan e.dams to allow me to join Toro Rosso for the past few months. Still, I couldn’t believe that it finally happened! Yes, I am. The way the cars are designed in F1 make it hard to overtake, but with the rules for next year, I’m sure there will be some nice battles. Quite a cool fact is that I raced with around half of the drivers on the grid from karting, so in some ways, I think it will feel like battling like the old days! I am so proud to be representing Thailand. It is a huge honour for me and my family to be given such an opportunity. Hopefully, I will do them proud. I spend most of my time training and the rest with my family and friends… and pets, I love animals. We have two dogs and five cats at home.